Maguire Products have been a leader in material handling systems since 1977. They have several production facilities in the USA to supply plastics injection molding, extrusion and compounding. 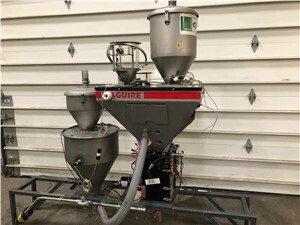 Specializing in gravimetric component blending, the WSB model has been a best seller for the company and one of the best on the market. In addition to blenders, their product line includes dryers, color pumps, loaders & receivers and purge recovery systems.